Adol, the story’s protagonist, has lost his memories! The player works closely with Adol’s adventure to uncover his sealed memories. 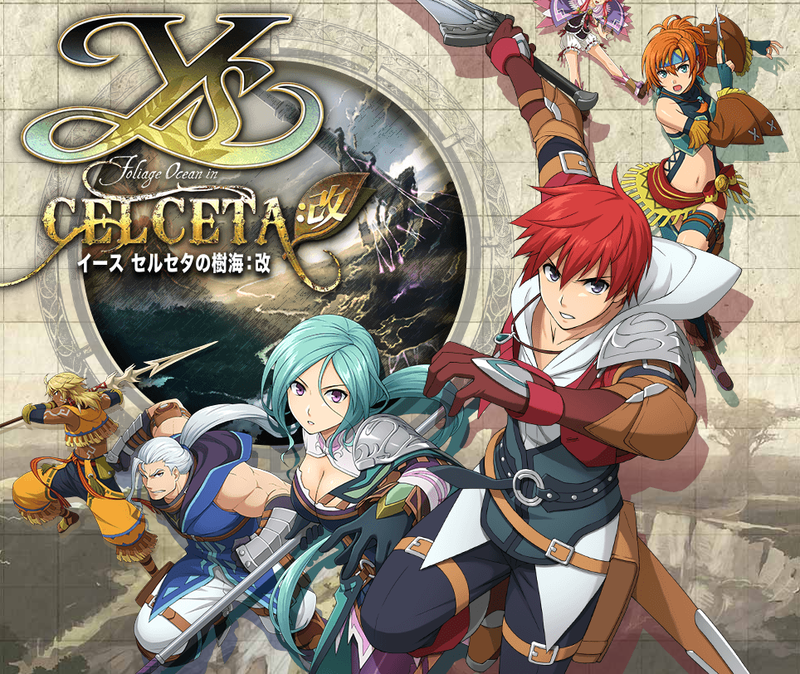 Adventure with Adol and his friends as they explore the massive forest of Celceta and follow the path of ruins, and Adol’s lost memories, to uncover the story set in the stage of Celceta. The game now boasts a 60 FPS and updated graphics for full HD, as well as a remastered soundtrack. It has been given a major upgrade for playability on the PlayStation 4. The PlayStation Vita version of Memories of Celceta featured a variety of touch-based minigames. These games have been adjusted and modified for use on the Playstation 4. Additionally, Extra Skill functions have been modified to use the same ‘two button’ system from Ys VIII to create an enjoyable play experience with the PS4. Featuring real-time strategy shifts, to allow the party to jump from ‘Offense Preference’ to ‘Evasion Preference,’ this system also allows for quick and flashy skills to be used with simple key presses. Awaken the potential of the game’s playable characters as they can learn new skills in the middle of combat. Additionally, while journeying on your adventure, you can collect materials to use to upgrade the stats of character weapons. Timing your actions to coincide with enemy movements allows you to get a slow motion period through ‘Flash Move.’ This, performing skills to keep enemies in mid-air for aerial combos, and other features allows for a tactical, and refreshing action in this party battle system. Falcom has revealed that preorders of the game will come with a reprint of this CD that was originally released with the PlayStation Vita version- a CD that’s been since out of print. This contains a variety of tracks on it, collected from the history of the Ys series, including 5 tracks of music from the MSX version of the Ys I soundtrack. The tracklist can be found below.